So....earlier today, I was searching Ancestry for a distant relative who'd attended college in Stillwater, Oklahoma in the early 1950's. That's when I happened across the 1954 "Redskin," and saw the above photo of Dr. Oliver Willham visiting with one of the school's famous alums, Allie Reynolds. Who knew? 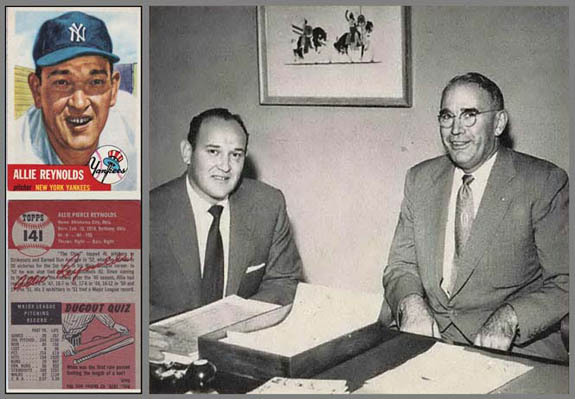 Back in 1954, when the images above were produced, I was an 11-year-old kid with a passion for baseball cards. My senior partner in that endeavor was Lawrence Denton. Together, we begged, borrowed, and ...... well, bought packages of really bad chewing gum, simply to collect the baseball cards inside the package. Card collectors will know that the '54 Topps cards came out in two releases. Lawrence and I had amassed most of the first card release before our interest was diverted to baseball, girls, movies, and other activities. Maybe even a bit of schoolwork. In any event, Lawrence was kind enough to pass along the collection to his junior partner, and I dutifully retained the collection in an old cigar box, most likely discarded by Jim York, the Denton boarder who was like a member of the family. But that's another story. While I readily remember the Allie Reynolds card (#141 above), I could only tell you that I knew he had first pitched for the Cleveland Indians, and that his real career kicked off with the New York Yankees, where he was a standout pitcher from 1947 until his playing career ended in 1954. I vaguely remembered that he was from Oklahoma, but I didn't know until today – after a bit of research – that he was the son of a preacher and a stellar all-around star athlete at Capitol Hill High School in Oklahoma City. With a track and field scholarship, he enrolled at Oklahoma A&M in Stillwater. 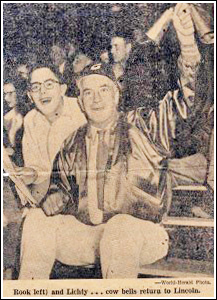 The legendary basketball coach, Henry Iba, was coaching baseball for the Cowboys, when – giving injured pitchers a break – he asked Reynolds to throw batting practice one day. The rest, as they say, is history. Reynolds became team captain and helped the Cowboys win the conference championship his senior year (1938). After three seasons pitching in the minor leagues, Allie landed a slot with Cleveland, followed by his big break with the Yankees. While playing professional ball, Reynolds invested in oil and did quite well. After his baseball career, business would provide him with another successful career. He died in 1994 at age 77. Back in the 1970s, my bride and I moved to Stillwater. I had taken a job at Oklahoma State University. Among my more pleasurable tasks was conducting radio interviews for KOSU radio. One series was called "Faculty Forum." The interview I remember best was with Oliver S. Willham, a retired president of OSU. During my time at the university, the presidents were Robert Kamm and then Lawrence Boger. I knew Willham only by name, but I found him to be a straightforward and even folksy interview. I've never forgotten his observation about how difficult it had become for a university president to remove a really bad faculty member, which occasionally occurred – even at splendid schools like OSU. Willham opined that it was a laborious and tedious task for then president Kamm to get rid of any really bad faculty members. "Much easier," he recalled, back when he was president (1952-1966), although there were still lots of hoops to jump through. Then, Willham leaned back in his chair and – almost wistfully – remembered long-time president Henry Bennett, who served 22 years as A&M president back in the 1920s, '30s, and '40s. Willham recalled how Bennett could remove bad apples from the faculty. "He'd have 'em clean out their desks and be off campus by sundown." Oliver Willham was the first OSU president to retire while still in office. That was in 1966. He was 73 years old when he died in 1974. Seeing the top photograph of Allie Reynolds with Oliver Willham was a very pleasant surprise. It caused me to read a little bit more about both of these gentlemen – both very successful in their chosen careers. Both Allie Reynolds and Oliver Willham are members of the Oklahoma Hall of Fame. 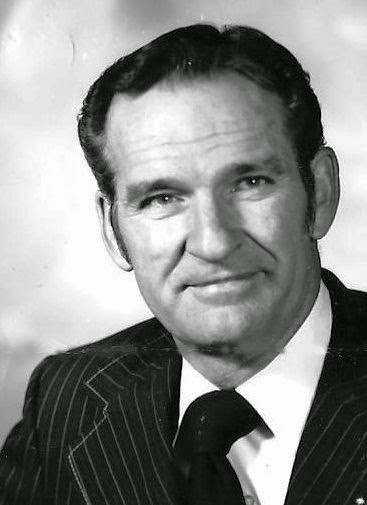 Having lived and worked for nearly a decade in Oklahoma broadcasting, I'm almost embarrassed to acknowledge that I did not know that long-time broadcast newsman Douglas Edwards was born there 100 years ago. A native of Ada, Oklahoma, Edwards would pursue a career in broadcast journalism, leaving a superb legacy and inspiring lots of young men and women to enter the world of broadcast news. I've always been proud of the profession I chose. I still am, but I must confess I'm disappointed in many of its 21st century practitioners. "Main Stream Media" and "Fair and Balanced" have become cliches, and it's all too easy to witness would-be reporters abandoning objectivity and fairness. A generation earlier, many young journalists would trade in their objectivity for advocacy journalism. After all – they would argue – there's no such thing as true objectivity. That may be true, but to abandon striving for objectivity and fairness, it seemed to me, was not the answer. At least, it wasn't my approach as I departed the news end of the business for management. A good share of my career was with PBS and National Public Radio (NPR) stations. Public broadcasting is often vilified – particularly National Public Radio – for being liberal and elitist. I never found the service elitist, but it was and does have a liberal leaning. Nonetheless, to my mind, it remains among the best organizations for comprehensive and thoughtful news coverage. I'm pleased that through the Kroc Foundation and other funding sources, NPR was able to fill the void when commercial networks were withering, closing overseas news bureaus and reducing their international news coverage. To be sure, they are not the BBC. But then, even the BBC has lost a lot of its primacy in the world of broadcasting. I was a fledgling broadcaster when Douglas Edwards was replaced by Walter Cronkite as CBS Evening News anchor in 1962. I didn't like that change, but I came to respect Cronkite as a class act. Through most of his many years at CBS, Cronkite – to my mind – did not give a clue as to his political persuasion. While that changed in the waning days of the Vietnam War, my most vivid recollection of any perceived "biased" reporting on the CBS Evening News came in the form of frequent Cronkite introductions of Eric Sevareid to provide "analysis." By the standards of today, Sevareid's analyses were golden. And they truly were more analysis than opinion – although it was not difficult to often identify the opinion. They were head a shoulders above what's found today on CNN, Fox, and most other services. One hundred years after his birth, it would be interesting to know how Doug Edwards would feel about his old profession today. Regrettably, this site increasingly has taken on the appearance of a gloomy obituary page from the morning newspaper. While many of the stories, indeed, chronicle the passing of several individuals, they also conjure up memories of many good friends from over the years – friendships dating back to the 1950's. This time, a belated acknowledgement of a gentleman I first met more than 50 years ago. In fact, we shared little time together – hardly two years. His name was John Eskew, and he died nearly 15 years ago, October 27, 2002. I happened across his obituary while doing some other online research recently, and I must share with you the great impact he had on a young Nebraska sailor. And how he served as a great role model for a group of Navy guys back in the 1960's. Eskew was not a broadcaster. Nor was he a journalist. But he was a leader, and one heck of a guy. John Eskew was a 32-year-old Navy pilot when I first met him in 1965 aboard the aircraft carrier USS Saratoga, anchored in the Mediterranean off the coast of Spain. But Lieutenant-Commander Eskew wasn't in flight status. He was serving as Public Information Officer – probably not his first choice – and I had just reported aboard as a Journalist. He was my boss, and he was a good one. My job, as leading Petty Officer, was to supervise the day-to-day operation of the Public Information Office. It was an easy task, given that we had a seasoned staff already aboard, and Commander Eskew pretty much let us do our jobs with minimal oversight. We really were blessed with a talented crew, several with considerable experience in broadcast and print journalism, graphics, and other related areas. Our Public Information Office staff aboard the USS Saratoga (CVA-60) in late 1965. LCDR John Eskew is seated at left. 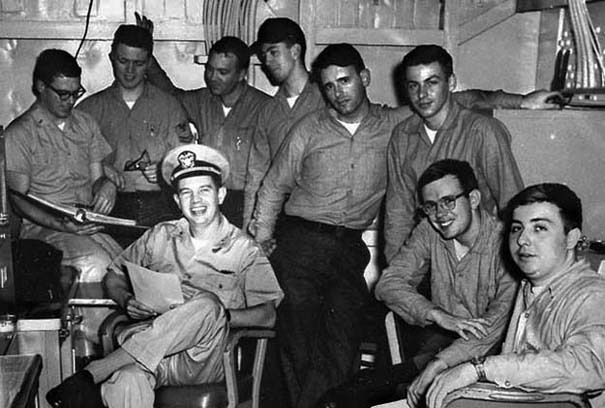 Others (l-r) are Ensign Ron Cameron, and enlisted staff Larry Miller, Joe Johns, George Guercio, Mort Fleischner, Ron Schuster, Mike Adams, and Dan O'Sullivan. We were a pretty diverse group – but we worked well under LCDR John Eskew. John Eskew was an affable character. He was bright, articulate, and had a great sense of humor. He expected productivity from the staff, but he didn't hover over us. He was our link to the Commanding Officer of the Saratoga, home to some 5,000 or so souls. Before the ship would anchor near ports of call across the Mediterranean, he would fly ahead to help represent the ship to local officials and business people. We're sure he had some fun, too, but he always took care of business. Our staff produced "Port Booklets" for sailors going on liberty. Those publications offered a litany of things to do – and things to avoid. A few useful foreign phrases were always included, along with a list of sites to see. A currency exchange table was important, too, so sailors wouldn't end up on the short end of the exchange stick! Our PIO crew put out a daily mimeographed newspaper while the ship was at sea, and we also broadcast music over a closed circuit system. 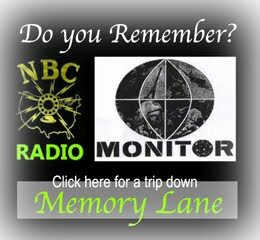 We operated a closed circuit television station, offering daily news reports, and filled most hours with lots of music with still pictures. Videotape was not yet available aboard ship. We occasionally had special interviews and programs, including periodic appearances by the Saratoga Commanding Officer. Our boss, LCDR Eskew, had responsibility for all of our PIO services. If I ever knew where LCDR Eskew called home, I had long since forgotten it by the time I discovered his obituary last week. As it turns out, he was a 1950 graduate of Leon High School in Tallahassee, Florida. I still don't know where he went to college, or anything about his early Navy career. I left the ship – and the Navy – in 1966, and we lost touch. A decade later, having completed college and finding a job teaching at Oklahoma State University, I returned to the Navy as a reserve Public Affairs Officer. It was on a temporary training assignment at the Pentagon in about 1983 that I had the great pleasure of crossing paths with John. By then, he was a Captain working full-time at the Pentagon, and I was a Lieutenant-Commander. We dined together and enjoyed re-living some of our "sea stories" from our days aboard the USS Saratoga. At one point in his career, John Eskew, also a Naval Reservist, became commanding officer of the U.S. Naval Air Station at Glenview, Illinois, just north of Chicago. According to his obituary, he returned to Tallahassee in 1985. That's where he died 17 years later. I never knew his wife, Bessie, or their three children. Should fate ever lead me to cross paths with any of them, I'd be proud to reaffirm what they likely already know – John Eskew was an outstanding Navy officer and a real gentleman. He was a man of great character. For me, and I believe all who worked for him aboard the USS Saratoga more than half-a-century ago, he was a terrific role model and a real inspiration to all of us. So long as we remember, he is still with us. Happy birthday to Steven Spielberg and Willis Conover. Okay, you likely know about movie mogul Steven Spielberg, who turns 70 years old today. The Ohio native is legendary among science-fiction folks, especially for his early successes with movies like Jaws, ET (Extra-Terrestrial), and Raiders of the Lost Ark. We’re fans of both Spielberg and Conover, but who – you may ask –is this Conover fellow? Sadly, Willis Conover died some 20 years ago at age 75. And while he had an early affinity for science fiction just like Spielberg did a generation later, even publishing a science fiction magazine, it was a radio announcing job while in college that took Conover down a different career path. Willis Conover was born December 18, 1920 in Buffalo, New York. He went to teacher’s college in Salisbury, Maryland and later worked for radio station WTBO in nearby Cumberland, Maryland. During World War II, he was assigned to Fort Meade, Maryland, returning to commercial broadcasting after the war. 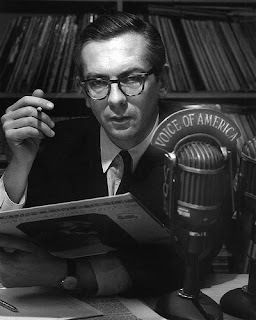 According to Voice of America writer/producer Dana Demange, Willis Conover went to work for commercial radio stations in the Washington, D.C. area, developing an affinity for jazz. He became acquainted with many jazz musicians and helped organize concerts. “He also helped stop racial separation in the places where music was played at night…creating musical events where people of all races were welcome,” wrote Demange. Apparently, Conover was unhappy about not being able to play more of the jazz music that he loved on the stations where he was working. He began considering options. 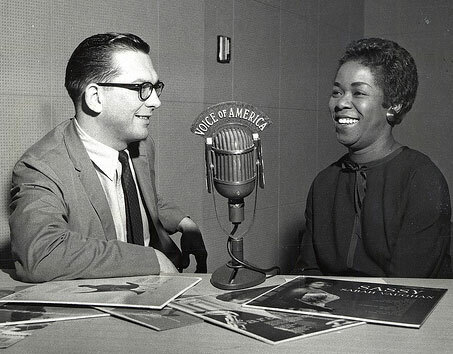 In 1955 he began a stint of producing and hosting jazz programs for the Voice of America (VOA) in their Washington, D.C. studios. He was given great freedom as an independent contractor. “Conover knew that he had found a perfect job,” wrote Demange. While a well-known local radio personality in the Washington, D.C. area, Willis Conover was hardly known anywhere else across the United States. His VOA broadcasts were beamed around the globe, and that’s where he became something of an international celebrity. You'll find a few Willis Conover photos in our Voice of America Gallery. Voice of America broadcasts were not intended for U.S. audiences – but for citizens of other countries around the world. It was the U.S. Information Agency's way of sharing news, information and a bit of culture from America to foreign audiences, hopefully gaining a better understanding and appreciation of the United States among world citizens. But Conover and VOA also had a “shadow” audience right here in the United States, where powerful transmitters in Delano, California, and Greenville, North Carolina beamed VOA signals toward Latin America, Europe and Asia – picked up by relay stations that re-transmitted the signals to specific regions. 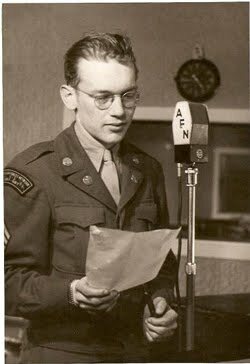 It was in the 1950’s that this writer – then a teenager in Chadron, Nebraska – remembers tuning in to the VOA shortwave broadcasts on cold winter nights, enjoying the deep-voiced introductions offered by Willis Conover for the music he’d selected for his programs. And his superb interviews with musicians ranging from Ella Fitzgerald and Duke Ellington to Sarah Vaughan and Louis Armstrong – “Amabassador Satch,” as one of his hallmark LP albums proclaimed. My shortwave listening continued well into the 1960’s, and I often listened to VOA while at sea in the Navy – and during a year-long tour of duty in Cuba following the missile crisis. Tuning in to hear Lee Hall and VOA’s “Report to Latin America” was a must! And Willis Conover’s “Music U.S.A.” and “Jazz Hour” were always delightful listening. The strains of Billy Strayhorn’s “Take the A Train,” performed by Duke Ellington and adopted by Conover as a theme song, still linger warmly in my memory after all these years. Were he still alive, Willis Conover would be 96 years old today. Happy birthday, Willis. Thanks for the memories. 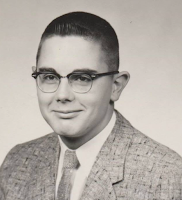 Some sixty years ago in Chadron, Nebraska — a bespectacled youngster named John Rook seemed to many local folks an unlikely candidate for finding success. He was a bit uncoordinated and talked with a slight lisp. But he would prove them wrong shortly after graduating from high school, forging ahead to a highly successful career in broadcasting. He became a top name disc jockey, but found his real talent as a nationally-recognized programmer during the heyday of rock and roll. That career, and his life, came to an end March 1, 2016 in at Coeur d'Alene, Idaho. John Harlan Rook was born in Ohio. He and his brother, Charles, moved to Nebraska at a young age and grew up in Chadron. Both attended Chadron Prep. "I certainly was not the most popular guy in my elementary and high school days," he wrote in later years. After breaking his glasses playing football as a high school freshman, John discontinued playing sports. He had difficulty seeing until a year later when the local Lions Club replaced his glasses. John's relationship with his father was strained — to say the least — and it was with his step-mother, Della, and his grandmother Rook that he was closest. "I held down three jobs…and while I didn't play sports, hunting and fishing became my time to get away from home on a limited basis." Interestingly, it was a popular classmate — Eddie Kuska — with whom he became friends. Ed was all that John was not: class president, a talented musician, and a good football and basketball player — even helping the Prep Junior Eagles win the Nebraska state class "C" basketball tournament. "How he ever accepted me as a friend is beyond me, but Eddie was my protector as we walked the many blocks to school each day." Rook was proud to be photographed with one of Chadron's biggest sports boosters for many years, Joe Lichty, a long-time barber best known for ringing his cow bells at sporting events. This photo appeared in the Omaha World-Herald. One of John's jobs while in school was working as a fry cook at the old Frontier Drive-In. After his junior year, he took a summer job with the Gering (Nebr) Courier, doing a many of the menial tasks it took to run a small town paper. Gaining some writing skills, he became editor of the high school newspaper during his senior year at Prep, and his senior yearbook predicted that Rook might end up as publisher of a newspaper. A good prediction — but the wrong medium. It would be broadcasting, not newspapering, where John Rook would find a career and much success — but it was a wild and circuitous journey via Hollywood. "I was on a Trailways bus to California within a few weeks of graduating from Chadron Prep in 1955," Rook later recalled. "Dad insisted I take a job crawling under and greasing steam locomotives at the Chicago and Northwestern Railroad or a full time job as a cook at the Niles Cafe and Hotel. Having already sampled both of those jobs part time during the school year, nothing would hold me back from escaping to California, even if it did mean I would start my venture with only $38 left to my name after purchasing my bus ticket." Rook's two years in California found him working a variety of odd jobs, but fortuitously crossing paths with a few celebrities and ending up in a classroom at the prestigious Pasadena Playhouse, rubbing shoulders with fellow students like Sal Mineo, Natalie Wood, and James Dean, among others. During this period, he also became acquainted with an up-and-coming rock and roll singer named Eddie Cochran. A southern California transplant from Minnesota, Cochran and his family became fast friends with the young man from Nebraska. Although he landed an "extra" job on the "Wild Bill Hickok" television series and a small part in the 1957 June Allyson movie re-make of "My Man Godfrey," John soon decided that acting was not for him. "After just two bit parts, my desire was waning on being an actor." In the Los Angeles area, John had been exposed to a wide variety of radio stations and radio announcers. Too, he recalled a chance meeting at lunch with legendary singer and television star Tennessee Ernie Ford, who suggested that radio offered the best opportunities for a young man in those days. Many radio announcers were leaving for television jobs, and the field would be "wide open". Interviews for radio jobs in Los Angeles, Salt Lake City and Denver resulted in dead ends, accompanied by suggestions that he start in a smaller market — like Scottsbluff, Nebraska, where he showed up to apply for a job in 1957, only to learn it had been filled a few days earlier. Low on cash, John returned to his home in Chadron— and a less than pleasant reception from his father. Nonetheless, a visit with friend Freeman Hover at Chadron's KCSR resulted in a good lead: the radio station in Newcastle, Wyoming was looking for an announcer. Rock & Roll star Eddie Cochran received a "Key to the city"
Redfern, Eddie Cochran, and John Rook. Within days, John was on the job at KASL Radio in Newcastle. 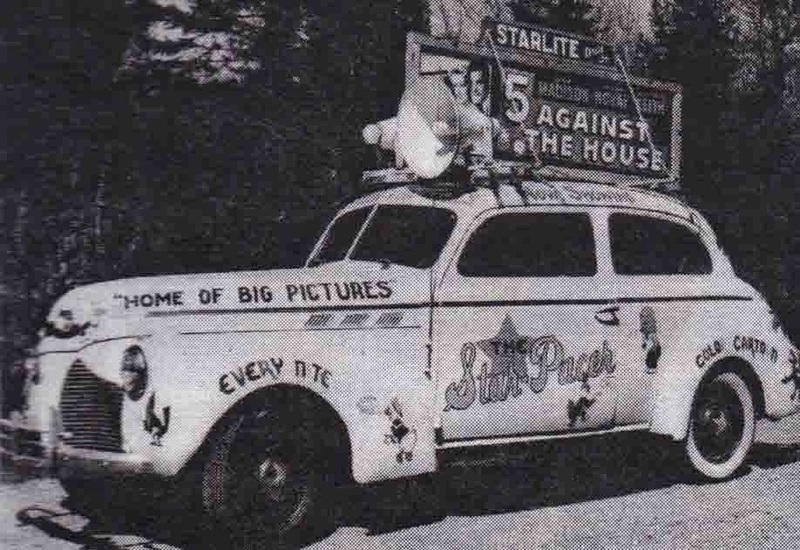 While the station's format was a bit alien to him, it served as a stepping stone to an opportunity at a new 1,000-watt radio station in Hot Springs, South Dakota the following year. KOBH was an AM station at 580 on the dial, and it quickly became a favorite station not only in the Black Hills, but throughout much of eastern Wyoming and the northern Nebraska panhandle. The reach of the station, coupled with numerous personal interviews with music artists crossing the region on tour, helped catapult John to larger market radio stations over the next five years. In the fall of 1959, Rook brought rock performer Eddie Cochran to KOBH and organized live concerts in Hot Springs and Chadron. 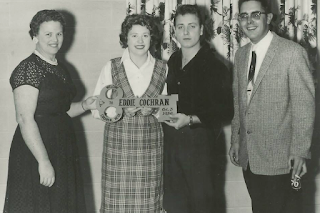 When Cochran performed on his 21st birthday at Chadron's Assumption Arena on October 3, 1959, he was presented with a "Key to the City." It was only a few months later that Cochran was killed in a taxi accident in England. He was later named to the Rock and Roll Hall of Fame in 1987. For John Rook, the next career stop was KALL in Salt Lake City, following by KTLN in Denver. 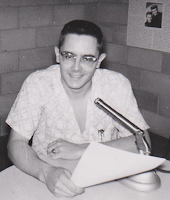 He earned an even bigger break in January 1965 when he was hired by ABC Radio as Program Director of its Pittsburgh station, KQV. After three successful years in Pittsburgh — including a short on-air stint as "Johnny Rowe" on WABC New York during a strike by radio and television artists — John Rook was a part of "management." 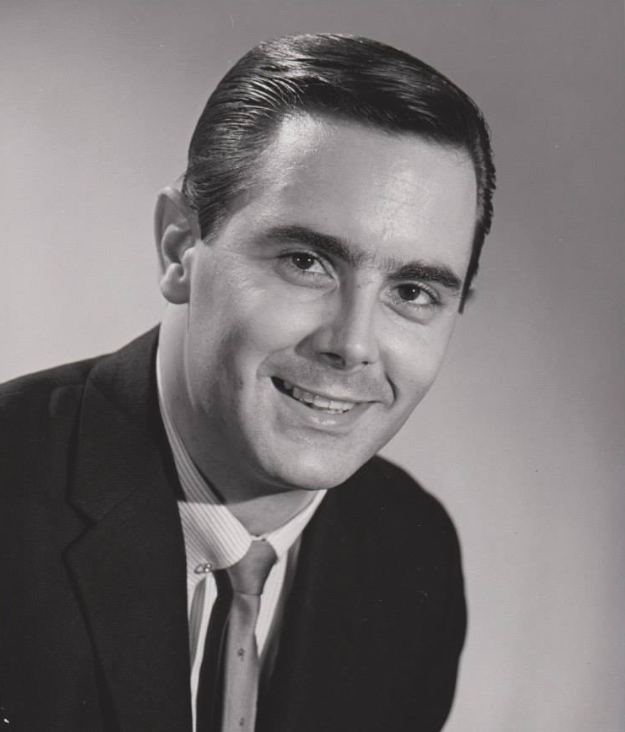 In 1967 he moved to WLS in Chicago as program manager and helped the station move to #1 in the market the following year, reaching an audience of some 4.2 million listeners each week. In 1969, he was named "Radio's Man of the Year"
Among the many industry people with whom John would become good friends was Bill Gavin. A legendary figure in Top 40 radio, Gavin published The Gavin Report, widely used by stations across the country. "His (Gavin's) advice not only guided my career moves, but even my personal life. 'It will be the most important thing you could do in life,' he said, urging me — a single parent — to adopt two young lads, David and Clifford, from the Lena Pope orphanage in Fort Worth. Guided by his wisdom, I would raise them to manhood and watch them get married. From time to time, Bill visiting our hom 'beaming' his approval of my family. He sent Christmas gifts to the boys each year." In the early 1970's, John left Chicago to become a programming consultant with Drake-Chenault and Draper-Blore, only to return to the Windy City in 1972 as a consultant to WCFL Radio, engineering what Billboard magazine Radio Editor Claude Hall called "a miracle" turn-around for the station. It was an early win for his newly-created John Rook & Associates consulting firm which went on to provide programming advice for some 30 stations across the country over the next few years. By 1977, John returned to California, accepting the top programming job at KFI in Los Angeles. The station, considered one of the most powerful in the country, beamed its 640 AM signal westward to Hawaii and could even reach portions of the eastern United States. 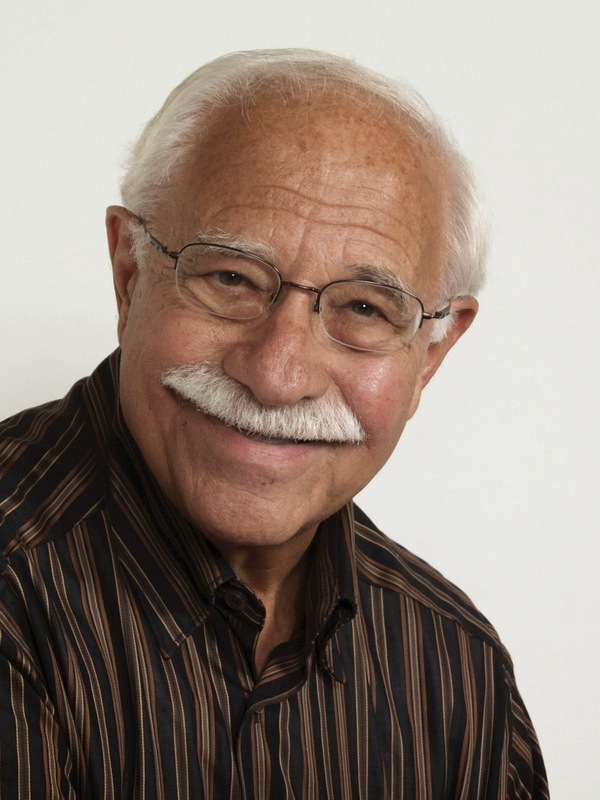 With a home in Northridge, John remained with KFI for nearly seven years, but departed after a dispute with a new station manager. "While I loved programming, it was time to be the P.D. of the entire station...my station. I scraped every penny together and purchased my Spokane FM (licensed to Couer D'Alene, Idaho) in 1983." He bought a place in the country, "Rook Ranch," where he could have his horses and enjoy a bit of solace from city life. It wasn't long, however, before he and some partners bought an FM radio station in Spokane, adding an AM station there the following year. In 1986, the Rook group activated a new FM station in Spokane, followed by the purchase of two additional stations — one in Pasco, Washington, and the other in Las Vegas, Nevada. Seeking a bit of tranquility from the rush of working in an urban environment, but still desiring to keep a hand in the business he loved, John Rook moved to the country just south of Couer D'Alene, Idaho. Then, in 1988-89, John took something of a sabbatical from his new life in Idaho, returning to Los Angeles for a brief tour as program director of KABC Radio. Managed by his friend George Green, John worked with some of the top talent in the country as the station struggled in its efforts to migrate from a music format to talk. People like Wink Martindale, Bill Smith, Sonya Friedman, Bill Press, and many more. But it became increasingly clear that his friend George Green was making the programming decisions — not all of them to John's liking. In one instance, Green cancelled a popular team (Martindale & Smith) that John had brought aboard, later learning that the ratings would place them at #1 in the market during their time slot. John also recalled recommending the hire of a hot Sacramento talk-show host for an evening block, only to have the plan nixed by Green. Alas, the ascending star from Sacramento — Rush Limbaugh — would not be hired by KABC. 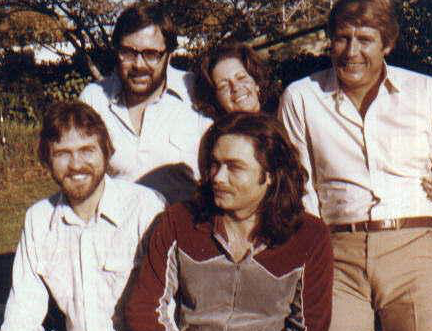 "I truly loved being program director of KABC…but I really wasn't…..George was." John saddled up and returned to his ranch and business interests in Idaho. 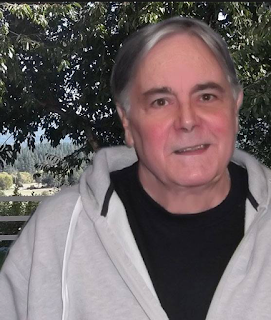 Although he sold most of his stations by the early 1990s, John kept hold of KCDA, the Couer D'Alene area station, until 2000. At one point in his career, John Rook was considered for a seat on the Federal Communications Commission. He later reflected that his staunch opposition to the frenzy for deregulation in broadcasting probably cost him the appointment. Deregulation of the media, he later opined, was even more destructive than he had earlier predicted. "Perhaps it would have been best if regulators had not allowed the monopolization of radio that resulted…a feeding frenzy of unethical lawyers devoured anyone offering competition. Within days of congressional passage, the nation's media was gobbled up by three billionaires." Retaining close ties with many of his former colleagues and friends in the entertainment business, John took the initiative in 2007 to organize the Hit Parade Hall of Fame. It was largely intended to pay tribute to the many performers who weren't selected for the Rock and Roll Hall of Fame, but yet were clearly deserving of more recognition for their enormous contributions to the music business. 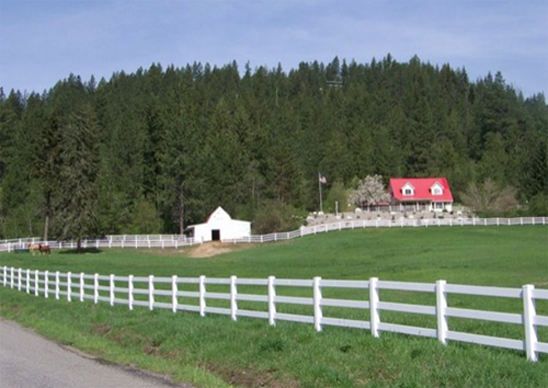 John enjoyed the pastoral setting of his rural Idaho ranch, where he kept a few horses and dogs. He died of natural causes on March 1, 2016 at his home near Couer D'Alene. He was 78 years old. Deadwood's Sheldon Jacobs was a broadcaster...and more! Sheldon Jacobs, who played football and ran track at Deadwood (SD) High School in the 1940's before pursuing a career that brought him considerable success in broadcasting, finance, and publishing, has died (3/20/15). His obituary was published this morning (3/25/15) by the Whitney & Murphy Funeral Home in Phoenix, Arizona, which is handling funeral arrangements. Long-time Lawrence County resident Hank Frawley said the Jacobs family had lived in Deadwood for several generations. Jacobs’ grandfather, Sidney, was a successful local businessman in Deadwood. The Jacobs family would eventually operate numerous retail stores in the northern Black Hills and in Rapid City. “It was Sidney Jacobs who advised my grandfather, Henry Frawley, to send my dad and uncle to school at Notre Dame,” said Frawley, who well remembers the Jacobs family. After attending the University of South Dakota in Vermillion for one year, Sheldon Jacobs transferred to the University of Nebraska, picking up a degree in Business. Then it was off for a stint with the Army during the Korean War. He used his G.I. Bill benefits to learn to fly while also earning a Master’s degree in statistics and retailing from New York University. In July 1973, after Jacobs and his brother, Doran, chose not to return to Deadwood to run five area clothing stores owned by their parents, the Wall Street Journal featured the parents, Bert and Ruth Jacobs, in a front page story. Sheldon Jacobs went to work in the research department at the American Broadcasting Company (ABC) in 1961 and was later associated with the National Broadcasting Company (NBC), where he headed a division involved in analyzing viewership and developing sales strategies. According to his obituary, published by the Whitney & Murphy Funeral Home in Phoenix, Jacobs published his first book in 1974. The publication, “Put Money in Your Pocket,” launched his career as publisher of a long-running investment newsletter, “The No-Load Fund Investor.” He also appeared on the NBC “Today” show to discuss his book. Jacobs' investment newsletters were highly popular for decades. 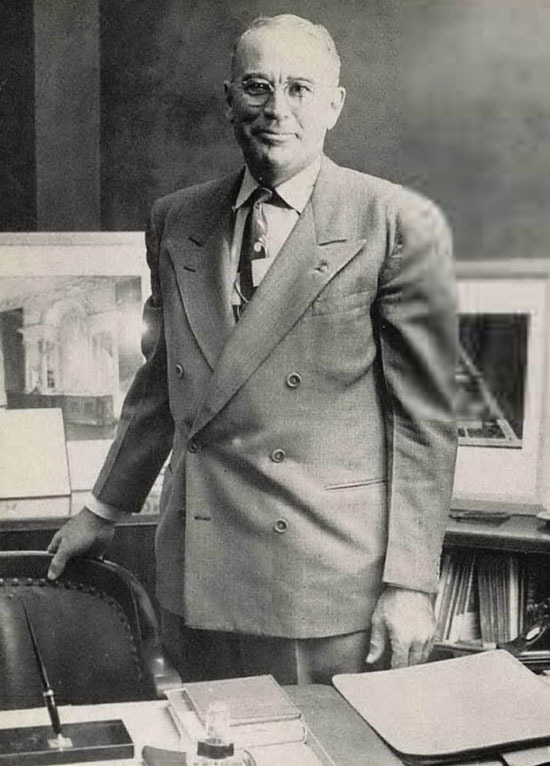 His obituary also noted that Jacobs was included “on a Sunday Morning edition of the Wall Street Journal Report “that featured three men who had been success in their second careers.” The other two were Ray Kroc of McDonalds Restaurants fame and Colonel Harland Sanders of Kentucky Fried Chicken. Jacobs and his wife Bette’ lived in both Arizona and New York. His strong work ethic was reflected in the fact that the day before his death – at age 84 – he gave a speech in Minneapolis to an investment club. Jacobs will return “home” to be buried at Mount Moriah Cemetery in Deadwood. To read the entire Sheldon Jacobs obituary, visit the Whitney& Murphy Funeral Home website. Many residents of Wyoming, Nebraska and the Dakotas will remember the tall and handsome Ray David and his beautiful wife, Shirley. In Nebraska, Ray first arrived in Chadron to take over as manager of the old Pace Theatre (now The Eagle) in the mid-1950's. Most of his professional years were spent in North Dakota. Although his years in Nebraska were few, Ray David went on to a successful career in broadcasting and politics. But what’s really remarkable is how this humble but creative kid, born into an impoverished Kansas farm family and raised in the Oklahoma panhandle and western Colorado, would pursue life with a passion and fight his way to success. Susan Farmer was one of the few people I’ve known who could simultaneously project a sense of shrewdness, great wit, and understanding. She was attractive, bright, and articulate. She was tenacious…and she had a wonderful sense of humor. Susan was a public broadcasting colleague. 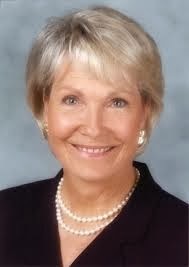 From the late 1980’s until 2004, she was president of WSBE-TV in Providence, Rhode Island. She died one month ago – on Monday, September 16, following a long battle with cancer. She was 71. Like many who knew her, my initial and abiding reaction to the news of her death was one of loss – even though it’s been years since I talked or corresponded with Susan. So I’m left to revel in the memories of some good times we shared over the years. From a Corporation for Public Broadcasting leadership workshop where we first got to know each another – to the many years we worked together within OSBE, the Organization of State Broadcast Executives. OSBE is comprised of public broadcasting executives from some 25 states that are each served by a statewide network of public broadcasting outlets. Many are in the wide open spaces, like Wyoming, Nebraska, the Dakotas, and Oklahoma. But a single station, WSBE-TV in Providence, dominates the entire – if diminutive – state. And so it was at OSBE that I got to know Susan. Did I say she was shrewd? Witty? Articulate? Absolutely. But most of the memories I carry of Susan are of a dedicated professional with a mischievous smile and an infectious sense of humor. A pair of scissors and Jack McBride’s necktie were key ingredients for a bit of legendary laughter at several of our OSBE meetings. And I still chuckle when I recall one starlit night in Virginia when Susan and I, along with Rod Bates and a small cadre of other OSBE golfers, rushed to finish our game before dark….unsuccessfully. Our laughter in the darkness left little possibility of ever actually hearing where our golf shots were landing. We couldn’t see. But we could laugh…..and we did. Susan Farmer was passionate about her work. Rhode Islanders identify her as the one person who saved Rhode Island public television in the early 1990’s when funding for the network had been yanked. She was a joy to know and work with. I think you’ll understand why, if you take a few moments to sort through portions of this online tribute to Susan Farmer: If You Knew Susie. Some of her colleagues shared their thoughts and memories of Susan in the following excerpt from the WSBE-TV program A Lively Experiment (below), which Susan had created many years ago. It's a fitting tribute to a classy lady. Charley Rook says he was “very, very lucky” during his career as a radio and television news director and anchorman. But he also credits his upbringing in Chadron with helping him make the most of the opportunities that were afforded to him. Rook is a 1954 graduate of Chadron Prep. He was back “home” during Fur Trade Days in July, renewing acquaintances with friends and also taking stock of the town that he said he’s come to appreciate more and more while working and living in much larger cities. 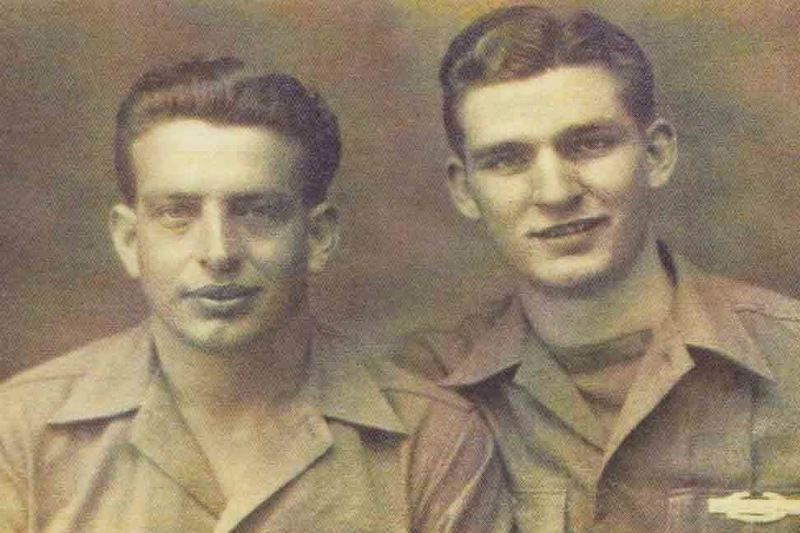 Charley and his brother Johnny were born in Ohio, but their family moved to Chadron when they were in junior high. Their father, Gordon, was a Chadron native who was a diesel locomotive-electrician for the Chicago and North Western Railroad. Their mother, Della, was a native of Kentucky. Johnny graduated from Prep in 1955, one year after Charley. Charley notes that he wasn’t a good enough basketball player to get much playing time on any of the three Class C state championship teams that Archie Conn coached during the 1950s, but he liked football and believes he received all-Northwest Nebraska Conference honors as an end on the Junior Eagles’ football team his senior year. Both brothers made it big in broadcasting—Johnny in radio while Charley switched to television and was an anchorman at major stations in both Chicago and Los Angeles before spending 20 years at a station in Spokane-Coeur d' Alene, where he is now retired. 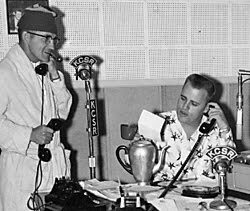 Early in their careers, both worked at KOBH Radio in Hot Springs where they “did about everything.” While Charley made his mark as a radio and TV news anchor, Johnny had a knack for picking hot tunes before they were hits and he became a renowned radio programmer and station consultant. Wikipedia has three pages on Johnny’s career. He lives in Coeur d’ Alene, Idaho, only about 20 miles from Spokane. (See separate story). Charley has no regrets about how things turned out for him, and while he was being interviewed, mentioned two things that he feels helped put him on the road to success. One, he said, was at the District 6 Declamatory and One-Act Play Contest that Chadron State College hosted when he was a junior at Chadron Prep. The competition included radio newscasting and Charley won first place, sparking his interest in broadcasting and boosting his confidence. The second was being able to work for his uncle Claude (Bud) Rook, the founder and owner of ABC Electric in Chadron during the summers and at other times when an extra helper was needed. “I’m sure there are some people in Chadron who remember him,” Charley said. “He was a good mentor for me. He was a taskmaster who had that work ethic which I so much admire to this day. Bud also believed if you worked harder than the competition you could succeed in America, the greatest country the world has ever seen. “Quite a bit of this rubbed off on me and I still believe it, even though things about this country have really changed over the years and in my estimation, not always for the better. The nanny state and political correctness come to mind." Charley said some of “Uncle Bud’s training” helped him excel while he spent four years in the Navy immediately after graduating from Prep. First of all, because of his experience as an electrician in the ABC Electric shop, Charley became a shipboard electrician on destroyer escorts in both the Atlantic and Pacific Oceans. By the time he was discharged, he had an E-6 rating, something few sailors accomplish during a four-year hitch. After his discharge, Charley enrolled at Chadron State College in the fall of 1958, but stayed just one semester and part of the spring term. Johnny was working at KOBH and the Hot Springs station needed a weekend announcer. Charley took the job and was soon hooked on radio broadcasting. Since the name Johnny Rook was already well-known to KOBH listeners when Charley went to work there, it was decided he should use a different last name. Thus during the rest of his career—nearly 50 years—he was Charles Rowe to his listeners and viewers. After only a few months at KOBH, he accepted a radio position in Cheyenne. He said he definitely got lots of experience there. He put the station on the air in the mornings, was often still there to give the noon news and then spent the afternoons selling spots, or ads. His stint in Cheyenne was cut short when some "high rollers" from San Francisco hired him to help build and set up programming for four new Northwest radio stations in Boise, Idaho, and Salem, Eugene and Medford, Ore.
His next stop, still in the early-1960s, was at KYMN, a 50,000-watt station in Portland, Ore., where he was strictly a newsman. He was there a couple of years and enjoyed his work but realized television people were making more money. Rook took a chance and in 1966 accepted a newscaster job at a tiny TV station in Coos Bay, Ore. Within six months, he was promoted to the company's flagship station in Eugene as news director and anchor. Then just a few months later in 1967, he received a big break in his career. He was offered a news anchor and capitol correspondent position at KXTV in Sacramento. 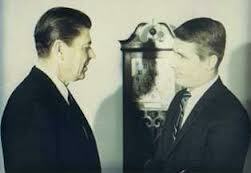 That was shortly after Ronald Reagan was elected governor of California. Charley said he was not planning to leave Sacramento, but he went to Chicago in 1969 to visit his brother and his mother, who had moved with Johnny to the Windy City. 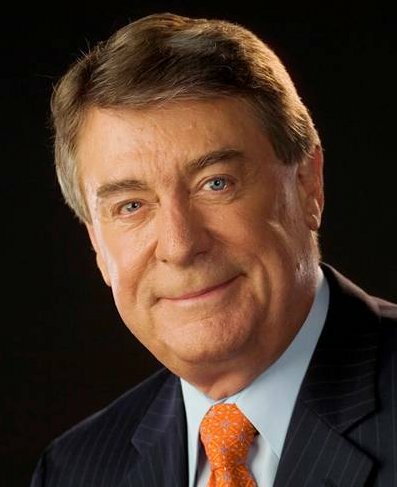 Charley remained at WLS-TV for four years. During two of those years, he also wrote and delivered three newscasts a day for the ABC radio network nationwide. One of his most memorable experiences in Chicago was working in the same office area as Paul Harvey, one of the nation’s preeminent newscasters for nearly five decades. “He would sometimes walk by my glass door, see me inside, open it and say ‘Hi Charles’ as he was leaving from work. Charley said he was “never enamored” with Chicago, calling it “a corrupt city that’s still that way.” So when his contract ended he moved to KTTV, a major independent station in Los Angeles, and soon became its sole news anchor. KTTV is now owned by FOX. “I was there for eight years and had a great time,” he said. “I guess this was the ‘biggest job’ I ever had when it came to audience size. But after a while, I began dreaming about having my own radio station, so in 1980 I moved again. While in LA, I worked hard to obtain a permit to put a new FM station on the air in Lincoln City/Newport, Ore., right on the coast. Charley didn’t get much time off after selling the station. Within a few weeks he was hired as an anchor at KREM-TV in Spokane, Wash., and spent the last 20 years of his career there. “Our ratings were top notch and I enjoyed the staff at the station, even though I had a constant battle with some of the activist-liberals in the newsroom to make sure we were telling both sides of the story. Maybe that's why the 5 p.m. news at KREM, which I co-anchored for the full 20-years, was constantly number one. I finally retired when I reached 72 and that was five years ago. “I had a good career and I don’t have any complaints. I always enjoyed preparing myself for the job on a daily basis and then getting it done.” he added. He remains in Spokane after retiring and calls himself “a neighborhood volunteer" who is heavy into the Tea Party, Heritage Foundation and the National Rifle Association. He said he’s dismayed that the national media is so biased to the left and he tries to do what he can to maintain and promote the conservative viewpoint. The death earlier today (7/20/13) of veteran White House correspondent Helen Thomas at age 92 caused me to reflect a bit on her remarkable career. And especially her tenacity, something I had asked her about some 40 years ago when she visited KLRN-TV in Austin/San Antonio. I was News Director at the station, and she was in the studio for to be interviewed on our Newsroom 9 newscast. I don't remember why she was had come to Austin, but between the allure of the Johnson family name and the robust political activity that seemed to emanate and swirl around the University of Texas campus, we often had lots of media folks visit us. Former NBC newsman Ron Nessen, who'd taken the job as Press Secretary for President Gerald Ford, was also in town at about that same time. Lots of media figures came and went. Helen Thomas, who worked for United Press International (UPI) for 57 years, chalked up many firsts in her career. She worked her way up to manage the UPI Washington bureau -- the first woman to hold the job. She was the first female member of the "good ol' boy" Gridiron Club, and she also was the first woman to serve as president of the White House Correspondents' Association. I asked her if her colleagues in Washington thought she was a bit aggressive…..perhaps too pushy, when interviewing folks. "If I were a man, they'd just say I was tenacious," she retorted. Of course, she was exactly right, and I've never forgotten her response. 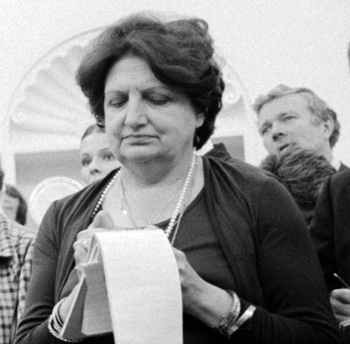 Born in Kentucky and raised in Detroit, Helen Thomas apparently caught the journalism bug in high school and went on to graduate from Wayne University there before moving to Washington, D.C. to seek her fortune. In 1943 she took a job as a copy girl with a local paper, but soon thereafter joined UPI as a reporter. She ended up covering 10 different presidents over some five decades. She died this morning in her Washington apartment. Interestingly, the funeral for Helen Thomas is planned for Detroit, which seems itself to be on an economic deathbed, having declared bankruptcy last Thursday. As I pondered the Helen Thomas interview, it brought back memories about KLRN-TV and KUT-FM radio. Back in those days, KLRN-TV served both Austin and San Antonio. It was a owned by a nonprofit corporation (Southwest Texas Educational Television Council), while the radio station, KUT-FM, was licensed to the University of Texas. In the mid-1970's, when we unveiled our new weekly KLRN-TV public affairs program called This Week, the late Bob Schenkkan, who was our General Manager, sought feedback about the program from his friend, Texas native Bill Moyers. Moyers had already made a name for himself in politics and journalism and was well entrenched at WNET in New York. Bob had sent Moyers a videocassette of the program, and Moyers responded by saying "I looked at THIS WEEK and liked it. It's a good concept. With the right budget for film, it could be the format for an exciting an informative weekly program." Alas our film budget never increased. Portable videotape was emerging in local markets, and our slender budget was incapable of making the capital outlay it required. This Week, which had been a subject of some ridicule because its name wasn't deemed terribly original, didn't last long. But go tell that to ABC News. Within a few years after the demise of our local This Week program, ABC latched on to it and has been running with that title for more than three decades. As I rummaged through other notes from the KLRN years, I also happened across an article and photo about a panel show I moderated with members of the Commission on Critical Choices for Americans -- another political group that found Austin an attractive gathering place. They were in town to talk about "Man's Nature and Institutions." Panelists included Harvard Professor James Q. Wilson, Dr. Irving Kristol, editor of The Public Interest magazine, University of Northern Illinois professor Martin Diamond, and UCLA professor Dr. Thomas Sowell. 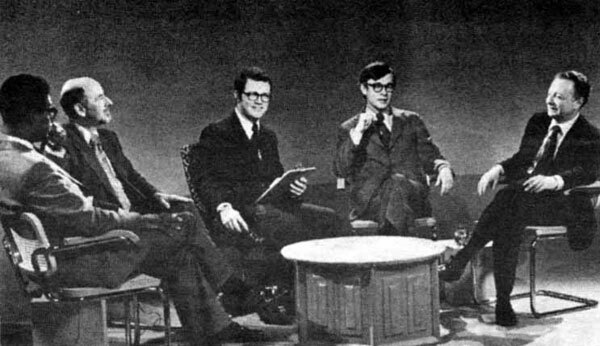 Sowell, Diamond, Miller, Wilson and Kristol are shown above in the KLRN-TV studio (May 1974). Diamond, Wilson and Kristol are all deceased, but Sowell and Miller are still with us. Thomas Sowell remains vitally active as a syndicated newspaper columnist. Miller, when not in front of his computer, regularly reads Sowell's columns in the Rapid City Journal before crawling atop his Trek for a bike ride along Spearfish Creek in the Black Hills of South Dakota. THE GOLDEN DAYS OF "VOICE OF AMERICA"
ANDY GRIFFITH TELLS "WHAT IT WAS..."